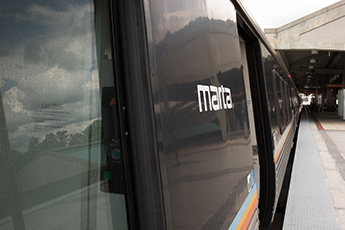 Due to the Georgia Dome Supplemental Implosion beginning late Tuesday night, December 19, from 11:30 pm until the end of service at 2:00 am, MARTA’s Blue/Green rail lines will not travel through the Dome Station located one stop west of Five Points. H.E. Holmes to Vine City and Five Points to Indian Creek on the Blue line. Bankhead to Vine City on the Green line.